Bornholm Information. Where To Stay And What To Do. 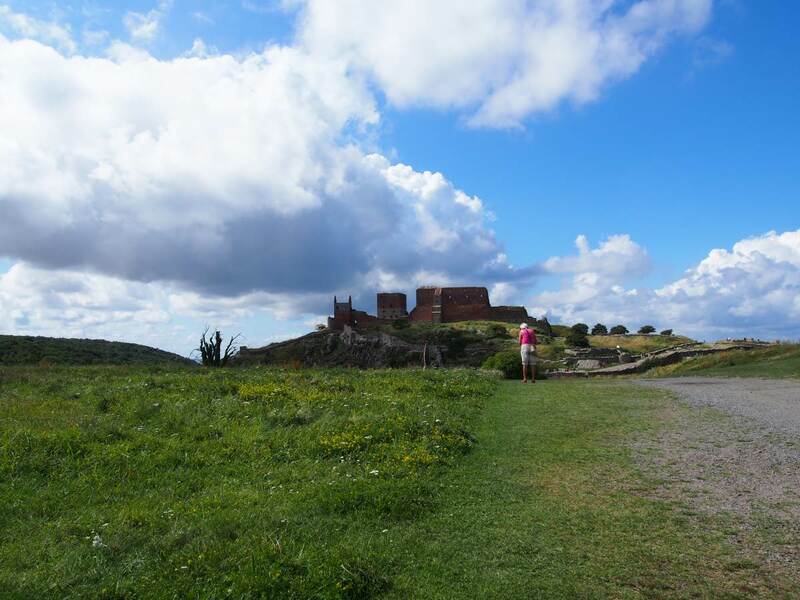 A beautiful holiday experience from Bornholm. Bornholm is one of the oldest visible rocks in the world. Formed through volcanic activity more than 1700 million years ago, the small granite island has an area of approximately 600 square kilometres and is located in the Baltic sea about 150 km south east of Copenhagen, between Poland and Sweden. How to get to Bornholm. There are a few ways of getting there, about half an hour by plane from Copenhagen airport. Drive through Sweden and catch the ferry from Ystad to Rønne, there is a bridge between Copenhagen and Malmø in Sweden and the drive from Malmø to Ystad will take you about 1 hour and with the new fast ferry it will take just over an hour to get to the island. Remember to book your ticket early if travelling during summer or other peak times. For details and bookings see the BornholmsTraffiken. Alternatively you can catch a ferry from Germany or Poland. When arriving on the island you really feel that your holiday has started, everything is relaxed and laid back. 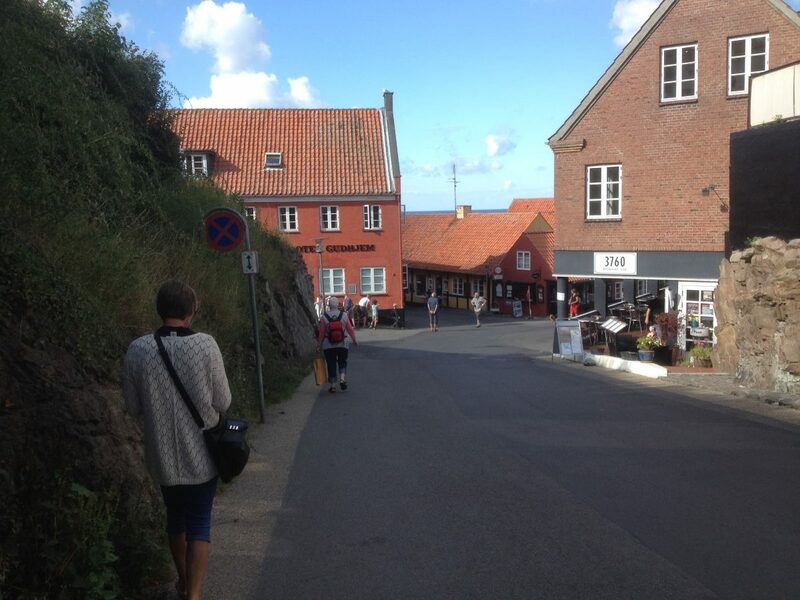 Don’t forget to visit the Bornholm Welcome Centre near the ferry terminal in Rønne to pick up brochures and maps. The island has a population of about 45,000 and the main town, Rønne, a population of about 16,000. About 1100 people commute between Bornholm and Copenhagen every day for work. 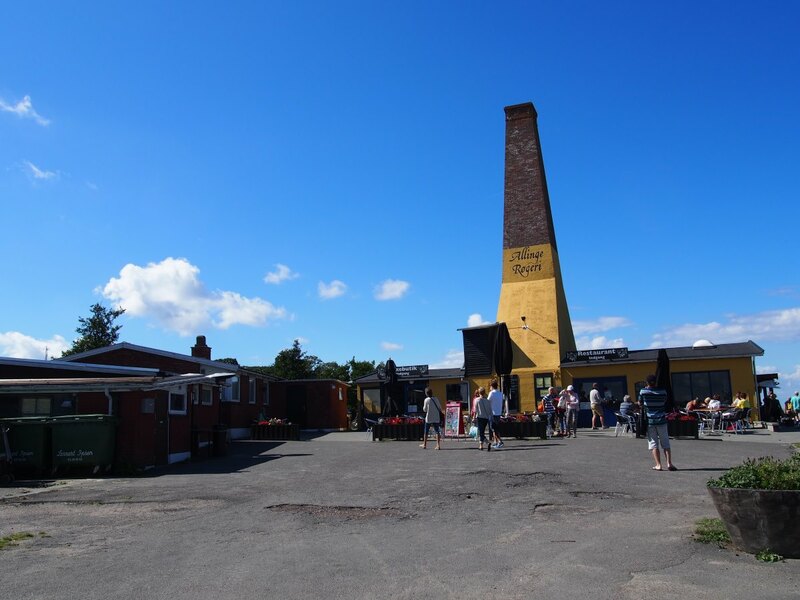 The main industries on the island include fishing, pottery made of local clay, art and crafts, glassmaking, farming and tourism especially in the summer time. The drive around the island is about 140 km long and througout the island you have about 200km of road, bike and pedestrian paths, a lot of holiday people on the island use bikes or hike around the island. 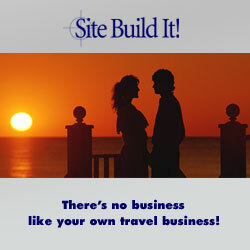 There are lots of places to stay such as hotels, B & B or caravan parks. We stayed at a lovely B & B called "Lille Myregaard" , Myregaard used to be a big farm but is now being restored and converted into a bed & breakfast by its owners Jytte and Thomas. 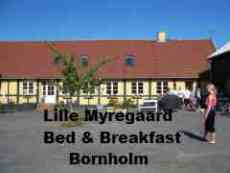 Myregaard, has so far got 2 double bedrooms, a family room and 2 holiday units and a 3rd unit is under construction at the moment. The 2 double bedrooms and the family room are located upstairs in the main building where you will also find the bathroom and breakfast room, the holiday units are located in one of the other buildings with their own bathrooms and kitchens, but don't worry it's only next door to the main building so you won't get lost. The laundry can be found near the holiday units. All rooms and units are decorated to perfection, mixing in the modern with the antinque. The well-used colours are beige, green and white, they are fresh and new with a pinch of an old design. The surroundings are quiet and a wonderful view can be seen from all rooms and the service is top notch. The B & B is not far from Dueodde one of the best beaches on the island and do not miss the breathtaking views from the ligthouse. The island is a holiday paradise and has a lot of accommodation on offer. Want a good night out? We can recommend Svaneke Bryghus, the food here is excellent and they have their own microbrewery. 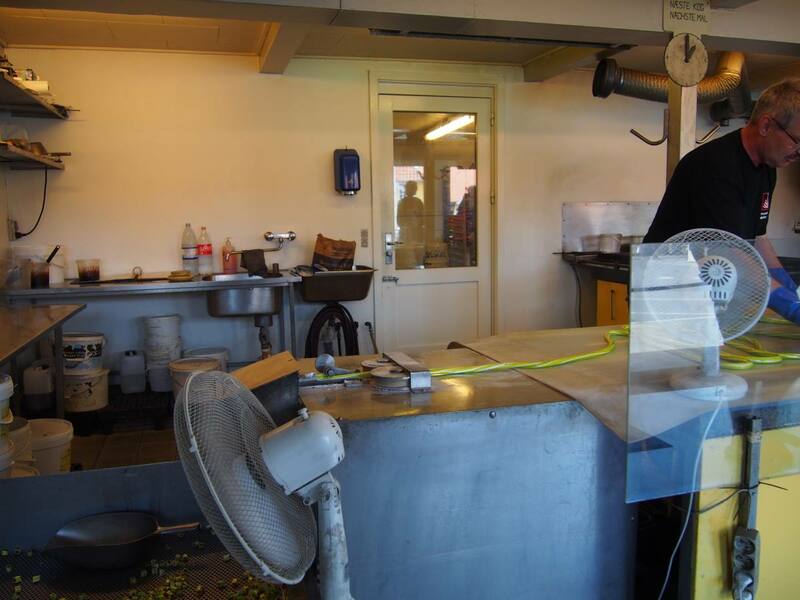 The brewery started up in 2000 and is one of the first microbreweries in Denmark. At Svaneke Bryghus they have a big variety of homemade beer and they can serve a “pole of beer” or as they say, en stang øl, for you that's 3.5 liters!, a great idea if you are a few people. Bornholm is home to 4 round churches and there history goes back to the 12th century. The outside walls on the round church are double, with a staircase between the two walls and you can walk up the stairway to the top floor about 3 stories high. Nobody knows for sure why they have been built round, but some believe that they also had a defensive function. The Round Church are well worth a visit. Are You In To Smoked Fish? 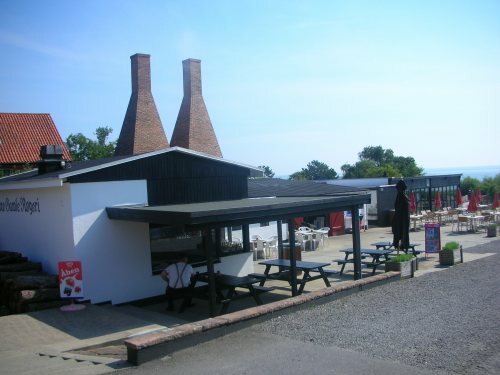 The Island is well known for its famous smokehouses. If you like smoked fish, this is the place to go. Herring, salmon and mackerel in particular, are caught right here, in the Baltic Sea. 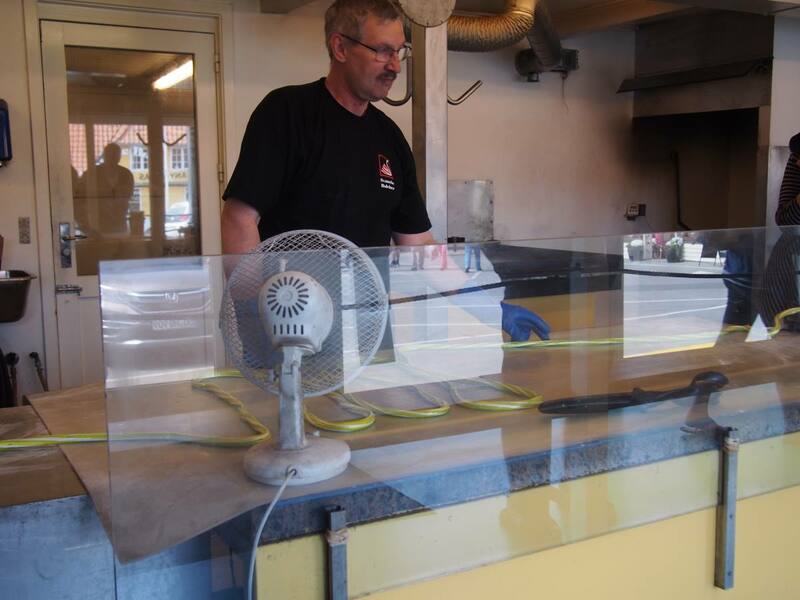 The smokehouses today are more like restaurants, where you can sit inside or outside and enjoy your meal of smoked fish and by choosing to sit outside you will most likely have a good view as well. 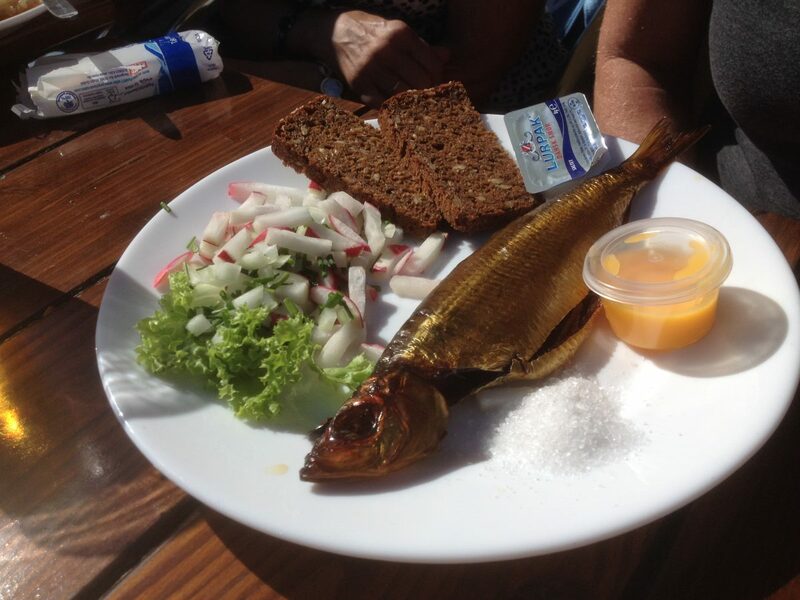 If you go there then I can suggest you try the "Sun over Gudhjem", this is a smoked herring on ryebread with a raw egg yolk, radishes and chives on top. I can recommend "Nordbornholms Røgeri" (Nordbornholms Smokehouse) in Allinge, with its lovely surroundings. They serve delicious smoked herrings and have a large buffet with seafood. This is one of the best smokehouses on the island. They are open from the beginning of April until the end of the summer season, and is open from 11am to 8pm. You will enjoy time in Gudhjem, here you can catch the ferry to Christiansø, go shopping and sightseeing or visit one of the many local pubs or restaurants in a real friendly atmosphere. Have you got a sweet tooth? 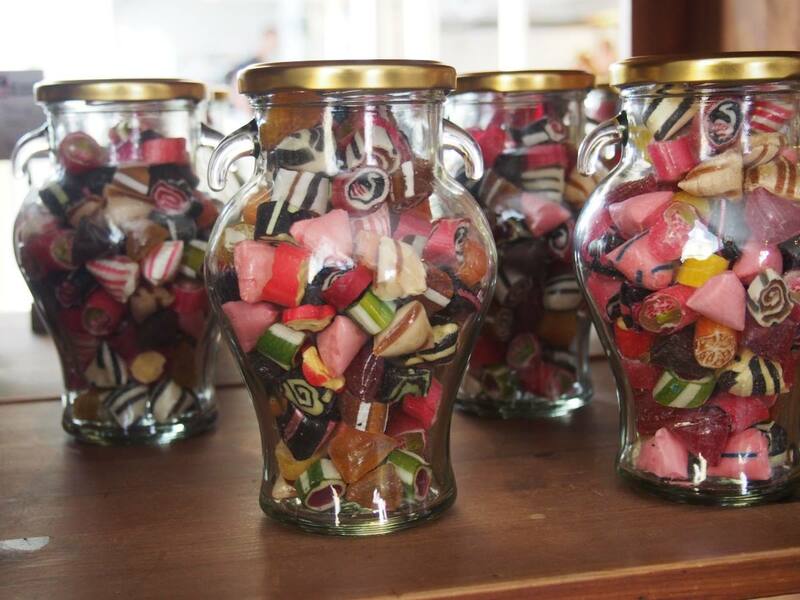 Here in Gudhjem we got the shop for you,Karamel Kompaniet (The Caramel Company). 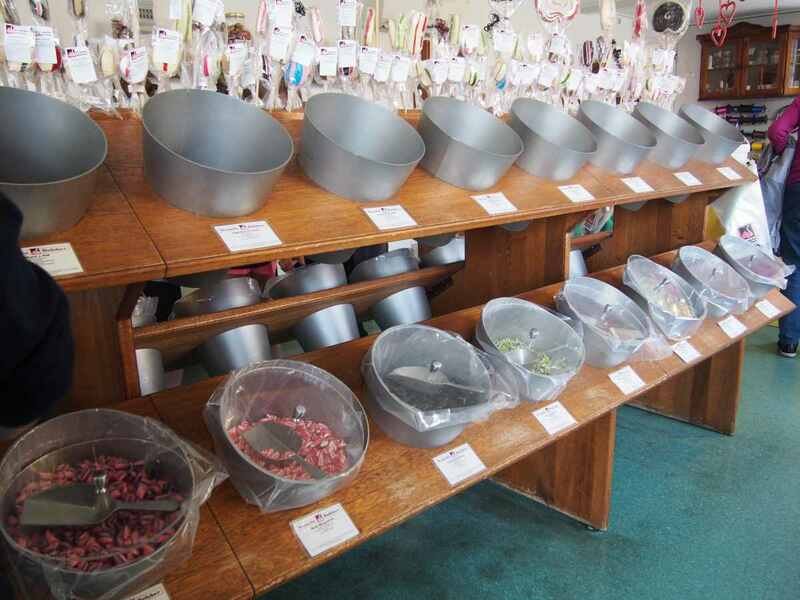 This little shop is quite busy, they make their homemade toffee with a range of different flavours. 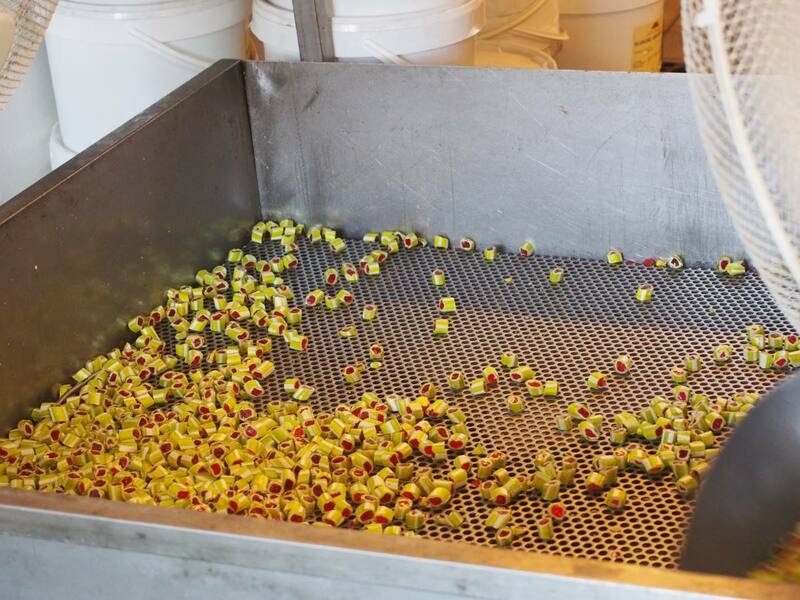 You can look through the window into the production area where they boil and stretch the light brown, still unfinished product to get the right consistence of the finished toffee. They handout tastings so you can try before you buy, maybe that's why all the kids hang around here. 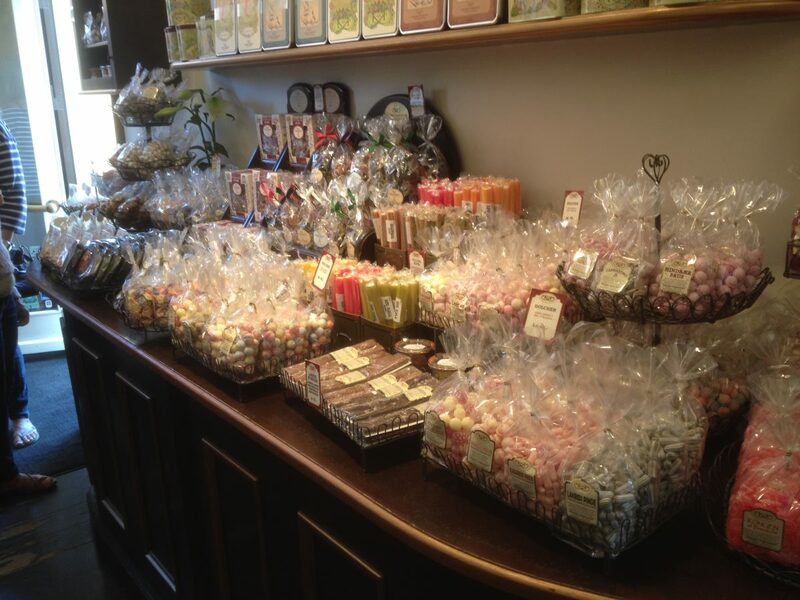 Apart for the homemade toffee the Caramel Company also imports liquorice, lollies and other sweets. 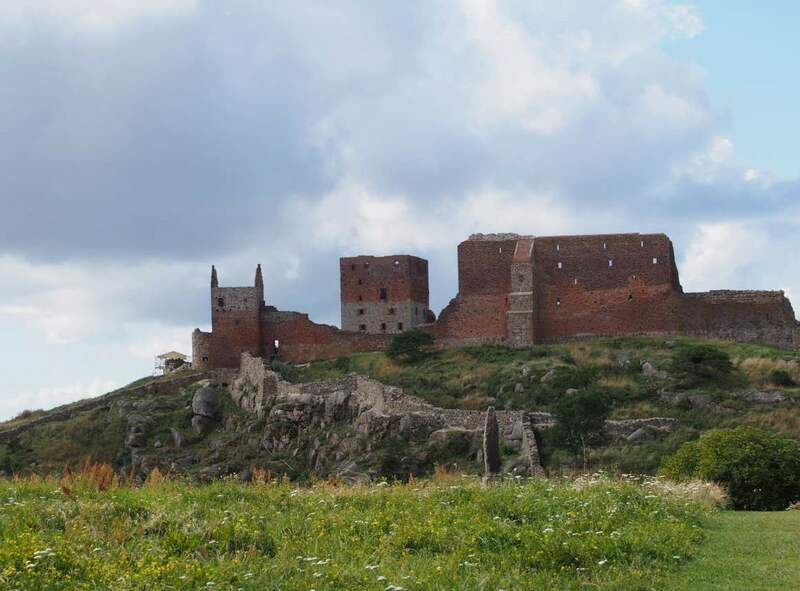 Hammershus (Click any photos to enlarge). 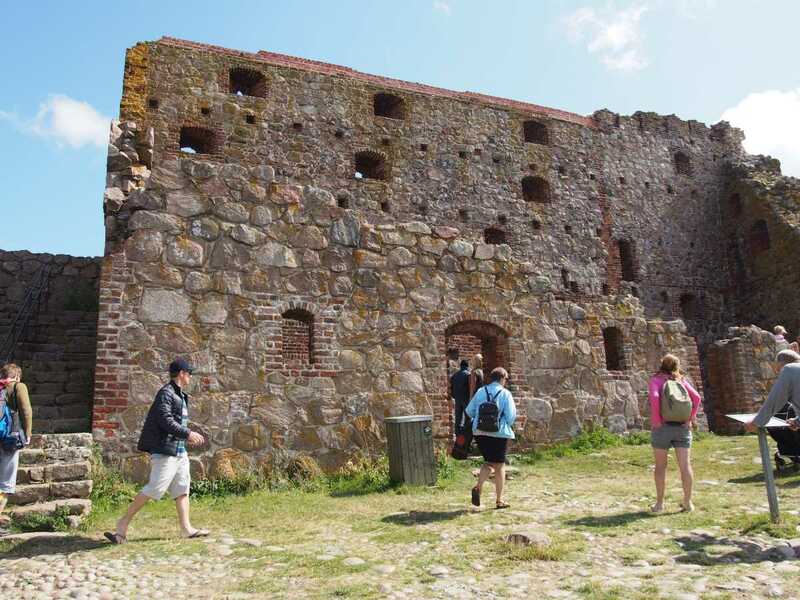 At the northern tip of Bornholm you'll find the impressive medieval fortress of Hammershus. 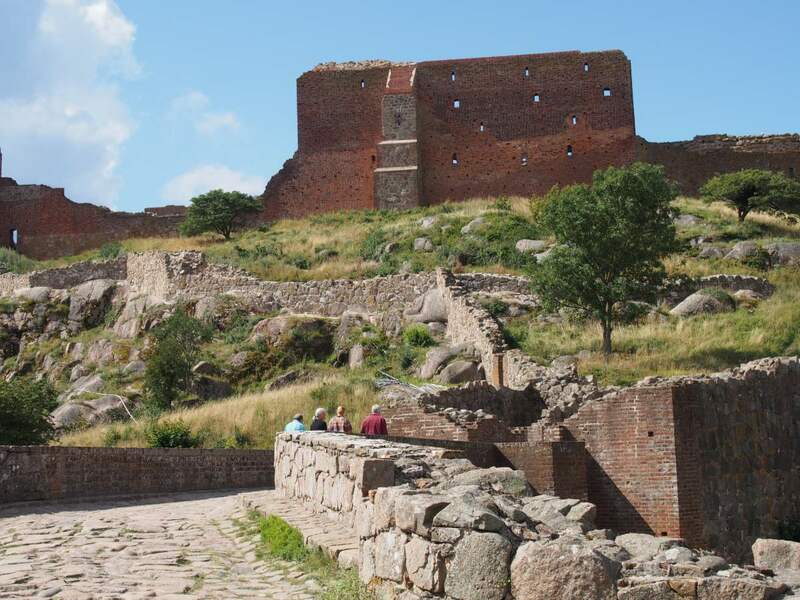 Hammershus is laid out as a virtually impregnable fortress that could withstand a long siege. 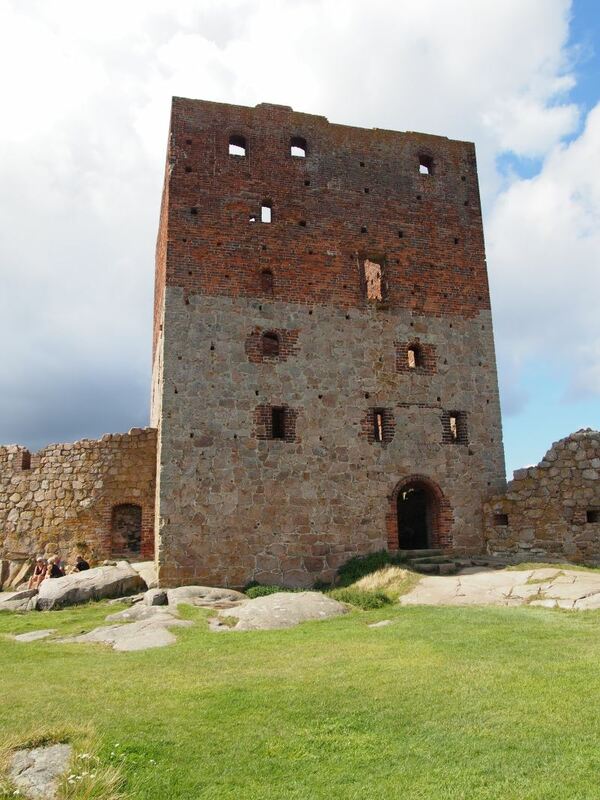 Built in the early 12th century it's the largest castle remains in Northern Europe and one of the most popular attractions on Bornholm. 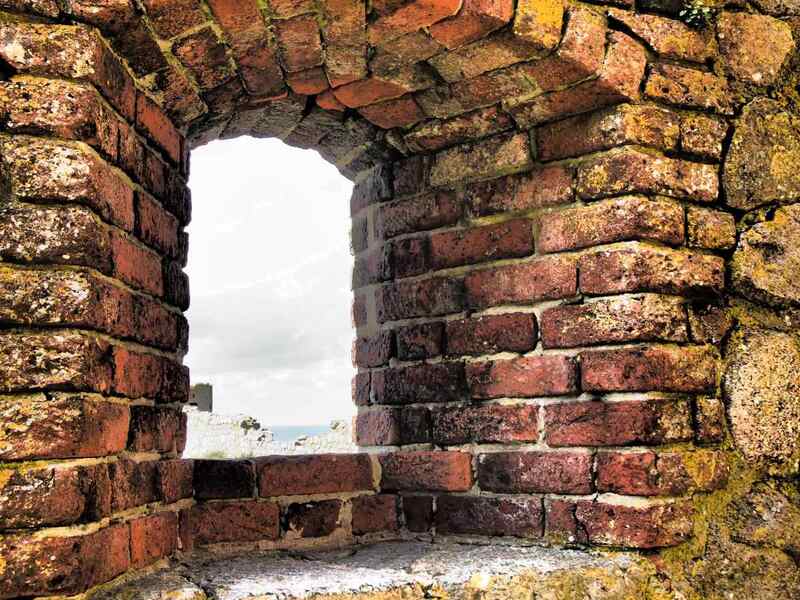 The fortress has been rebuilt and extended on several occasions during the 500 years it was in use either as a fortress or as a prison. 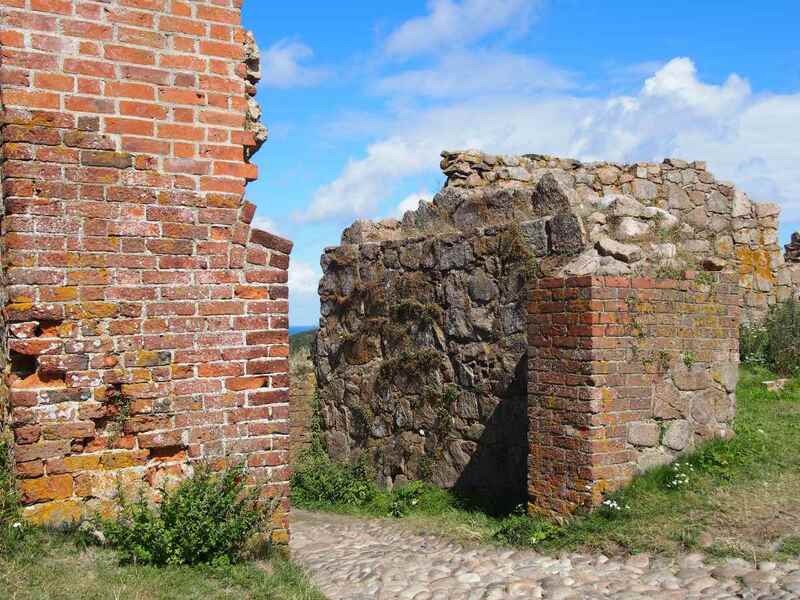 Over time Hammershus has been home to at it's peak 1600 soldiers and only 3 soldiers when it was decommissioned in 1743, after it was decommissioned the residents of Bornholm were allowed to gather bricks and building materials from the site. 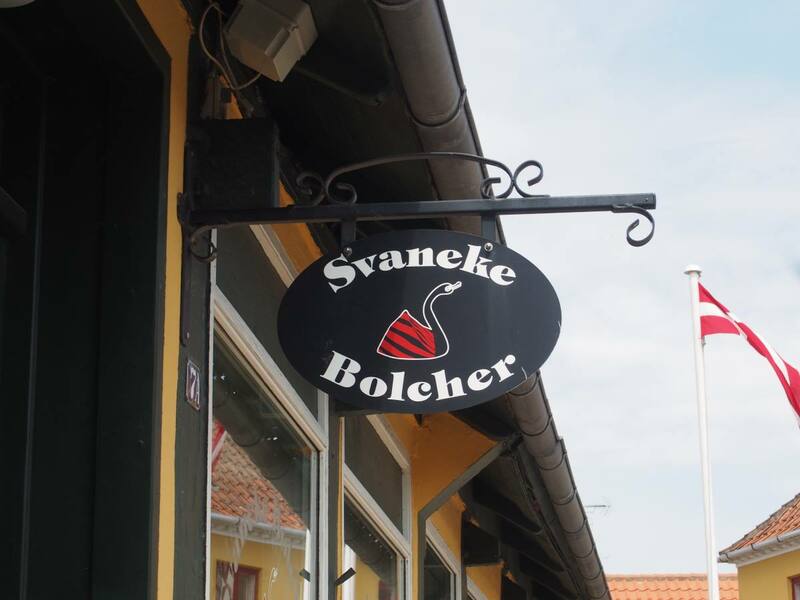 If you are in Svaneke, don't forget to drop in at Svaneke Bolcher. Rocking stone, a huge boulder carried by a drifting glacier during the ice age. The island is also home to the 3rd largest forest in Denmark, Almindingen. In the forest of Almindingen, at the island’s centre, stands an unusual “rocking stone” a huge boulder carried by a drifting glacier during the ice age and perched in a position that lets it rock back and forth. The group of islands called Ertholmene consist of the islands Christiansø, Fredericksø, Graesholmsø and a number of minor rocks located about 20 km NE of Gudhjem in The Baltic Sea and is Denmark’s easternmost point. From Gudhjem you can catch the mail boat “Peter” to Christian’s island. 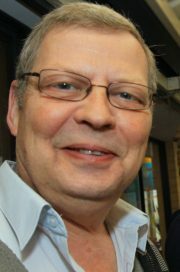 During the summer there are also “Ertholm” from Gudhjem and the” Expressen” from Allinge they have several departures daily. To read more about Ertholmene and Christian’s island click here. You will find Bornholm's largest winery at Søndre Landevej 63, Åkirkeby. Experience the many activities of the professional grower. You are always welcome to take a walk in the vineyard. There are wine testings and a café as well. Leaving Bornholm we went with the ferry to Ystad, drove through Sweden to Malmø and across the bridge to Denmark. The bridge itself is a very impressive piece of work, half bridge and half tunnel. We then went onto the motorway towards Jutland. Keep in mind that the bridge between Sweden and Denmark and the bridge between Zealand and Funen are both toll bridges so you need to pay in order to cross. The Danish motorway system is very well laid out and works well with the speed limit at 130km, every 25km you will find a rest area and on every 2nd there is a service station, minimart and restaurant, even shower facilities, taking into consideration that you can actually drive from Copenhagen and all the way to Italy without leaving the motorway, it’s a very good idea. Hotel reservation. Comparer hotel prices on the island.